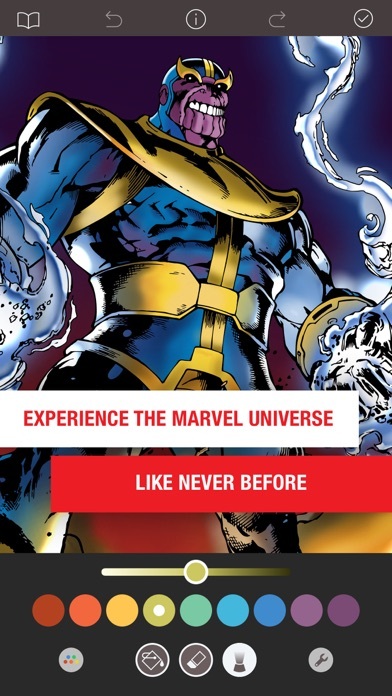 Marvel: Color Your Own App Data & Review - Entertainment - Apps Rankings! 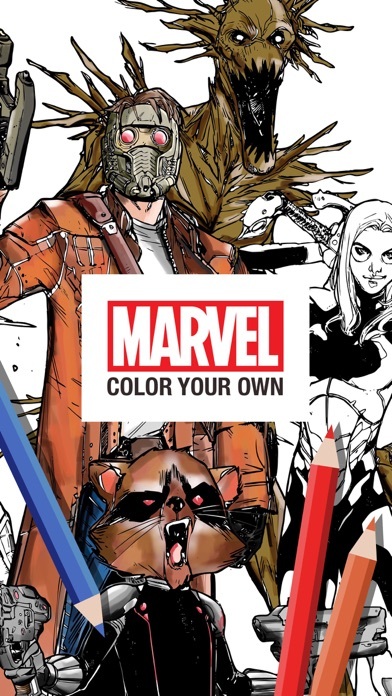 * More than 1000 exciting coloring pages from Guardians of the Galaxy, Civil War, Doctor Strange, Age of Ultron, Women of Power, Young Marvel, and more! You can get Ultimate Access for free for 7-days with a free trial. After the free trial you will be automatically renewed to the weekly subscription which you can cancel at any time. The paid subscription costs $3.99 USD per week for the weekly plan, $5.99 USD per month for the monthly plan, and $24.99 USD per year (65% discount off the monthly plan) for the yearly plan. Prices are subject to change. Ultimate Access automatically renews unless auto-renew is turned off at least 24-hours before the end of the current period. Your account will be charged for renewal within 24-hours prior to the end of the current period. Payment will be charged to your iTunes account at confirmation of purchase. You may manage Ultimate Access subscriptions and turn off auto-renewal by going to your Account Settings after purchase. Any unused portion of a free trial period will be forfeited when you purchase a Ultimate Access subscription. 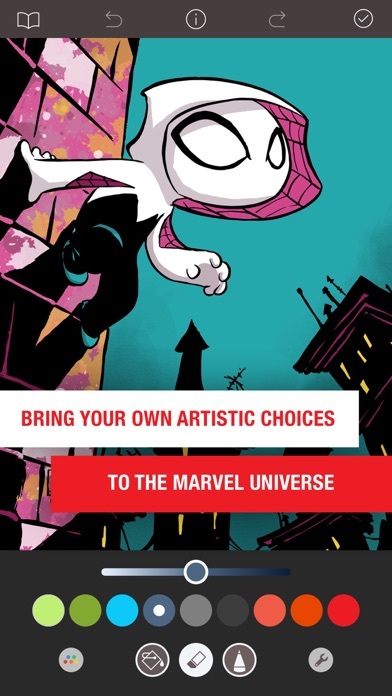 The applications Marvel: Color Your Own was published in the category Entertainment on 2017-04-28 and was developed by Pixite LLC. The file size is 182.07 MB. The current version is 1.3.4 and works well on 9.3 and high ios versions. This update also includes minor bug fixes and Apple Pencil performance improvements. 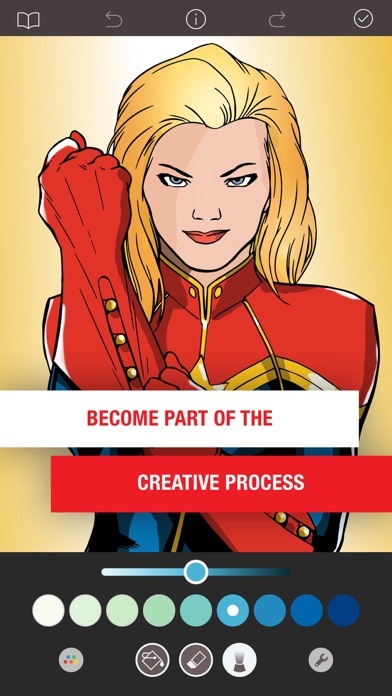 Do you like Marvel: Color Your Own applications? Please share! I have the issue that it seems others have in that when I’m almost finished a page, it glitches and several smaller versions are everywhere. Plus when I refresh it, I can’t use it anymore. 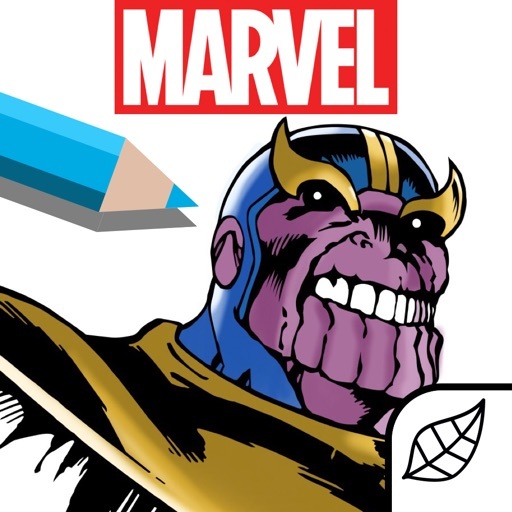 I have two requests: more pages with The Eternals and the other gods of the marvel universe and more, if not all free colouring pages. Thank you. Been using app and Had been charged without a notification. Decided to cancel app. Unfortunately it was a good app. This game is great I love the artwork and how you get to colour you own marvel super hero in and how ever you want but to bad you have to pay or do something to get the good artwork. I just found out I have been charged weekly for an app I haven’t used in over a couple of months! What pictures I did see where pretty cool, but for the cost not really worth it and had found a different type of coloring app that is truly a Free app and can unlock paid for pages by watch a brief 30 sec ad if I want. 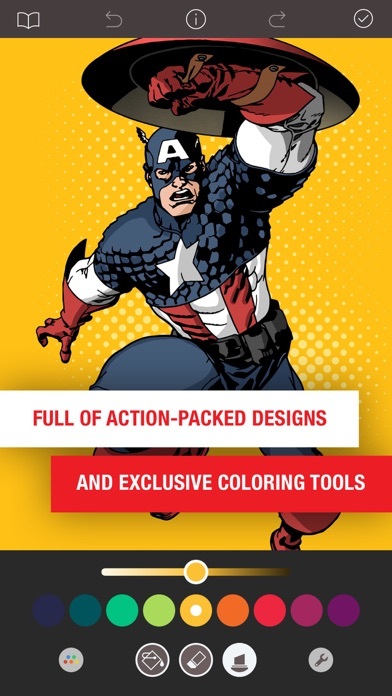 I don’t mind paying for subscriptions, but $260 / year for a coloring book is insane. There are other similar app that charges only a quarter of this price. Seems that the developer is just being greedy and trying to capitalize on the “Marvel” name. If you have $260 to burn every year for a coloring book, then go for it. I think this game is the best because it has details it has lots of colors to choose from and it is really relaxing so that’s what I think of this game . There’s just not enough content to justify a weekly subscription. The price is just to high. Dollar tree here I come! It says a FREE week and it cost money!!!! !